Chavda Ministries International : FEAST! Passover is the time of remembrance. It is also the season of assurance. The greatest deliverance ever wrought was accomplished. It is the event which answers all that has and may occur. In it God provides the balm for life’s most bitter experience. In it He gives us certainty of His promise of escape and justice. God leads the resurrection parade out of Egypt and into the promised Land. The lamb was the original offering for sin. A lamb opens the door. The lamb’s blood symbolized a life given up in exchange for life, for persons, for families, and for a nation. That first lamb points to Jesus. We reflect on that first Passover as we celebrate our Easter holiday in the events of Palm Sunday, Good Friday, and Resurrection Sunday. “…when I see the blood, I will pass over you. No destructive plague will touch you” (Exodus 12:13). “There was not one feeble among them” (Psalm 105:37). God “brought them out with silver and gold” (Psalm 105:37). “Let My people go!” (Exodus 8:1). “When I see the blood, I will pass over you” (Exodus 12:13). He said, “It is finished!” (John 19:30). After that first Passover night, the sin offering would be brought to the door of the tent of meeting, in a public sacrifice, a testimony—a public witness before the community and the world. The sacrifice, korban, means “to come close.” The person bringing sacrifice came to the door—petah ohel moed—of the meeting place set by God. His Presence rested there. The offerer would lay his or her hands on the head of their sacrifice, passing all sin, shortcoming, and burden onto the animal. Then it was slain and offered up at the door of the Presence. The person went home free, unburdened, justified, released, and forgiven. So thick was the Presence of the Lord that, “Moses could not enter the Tent of Meeting because the cloud had settled upon it and the presence of God filled the Tabernacle” (Exodus 40:35). The priest receiving the lamb laid it on the holocaust, the altar of burnt offering. Atonement, deliverance, redemption, and reconciliation were complete—finished. Tetelestai! Jesus’ great shofar call from Calvary rocked the cosmos, split the earth, spoiled the powers of darkness, and wrought deliverance from sin and death for the cosmos and the human race. Just beyond the open door stands the throne of the whole universe, the bema, the seat of judgment. Through this open door the whole world is invited to meet and feast with God in reunion, in justice for injustice, and in life for death. As we are drawn upward in reunion, the first image seen is a Lamb standing as slain in the midst of the glory described in John’s revelation of Jesus at the entrance to the tabernacle of heaven: “And I looked, and behold, in the midst of the throne and of the four living creatures, and in the midst of the elders, stood a Lamb as though it had been slain…” (Revelation 5:6). He does not stand far off. He is in our midst. In the Gospels, John recognized Him, the Lamb of God, and proclaimed, “He tabernacled among us and we beheld His glory” (John 1:14). Christ, our Passover, comes home to reside permanently with us, a salvation feast spread in the midst of His family. God’s glory revealed. Two thousand years ago the Son of God entered Jerusalem to the shouts of “Hosanna!” and palm branches, welcoming Him as king. Then Friday came. Tried and sentenced, though completely innocent, He suffered the most ruthless blow—death at the hands of sinners. He offered Himself up for you, for us. That offering rent the temple veil and broke open the door of heaven. It bought our reconciliation and brought us reunion with our Father. We remember that first great event in the history of God’s redemption and welcome Holy Spirit in full Presence this holiday. We enter in solidarity with those who gave us our redemption story, Israel and the Jewish people. As Jewish families around the world keep the Passover, we celebrate Easter season and pray for the peace of Jerusalem, Israel’s undivided capital. We look to the Lamb with joyful shouts because, “Sunday is coming!” Resurrection morning. The tomb lays open and empty. The new Day has dawned. Before us stands the open Door. Let us enter the fullness of our redemption in Christ. Let us go in to the feast! We pray for you and wish the friends of God around the world shalom this Easter season, our passover FEAST! 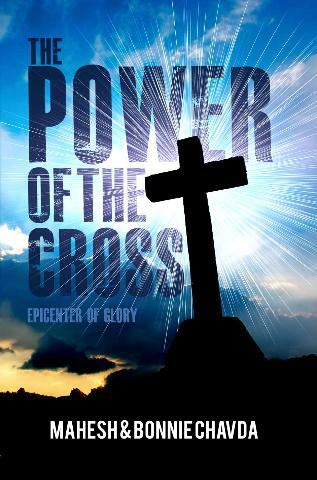 We have written a series of vignettes from the vantage of witnesses of the events leading up to Calvary and the Resurrection in our book, The Power of the Cross: Epicenter of Glory. This Holy Week, we invite you reflect on these vignettes as a daily meditation leading up to Easter Sunday.